Got my new digital camera working! Pics! Yay! No more crappy webcam pics! Yayyyy!!! No more webcam pics!!! 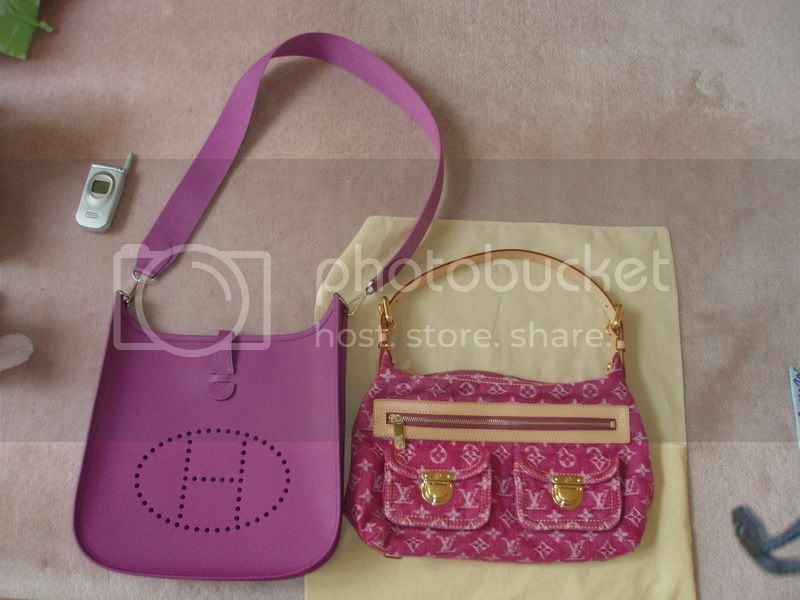 oooh love the color of your hermes. what color is that? your azur is gorgeous! really pretty. been waiting for you to break out your brand new digicam to see your new bags. thanks for posting them! they're gorgeous! 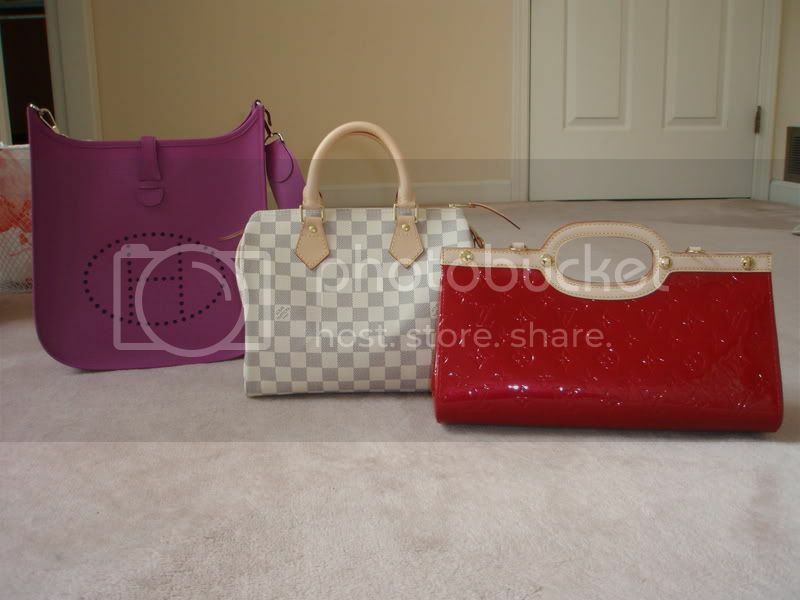 I need to take a family LV shot soon! congrats ! the pomme roxbury is really HOT ! love it ! everything is so pretty, great choices! 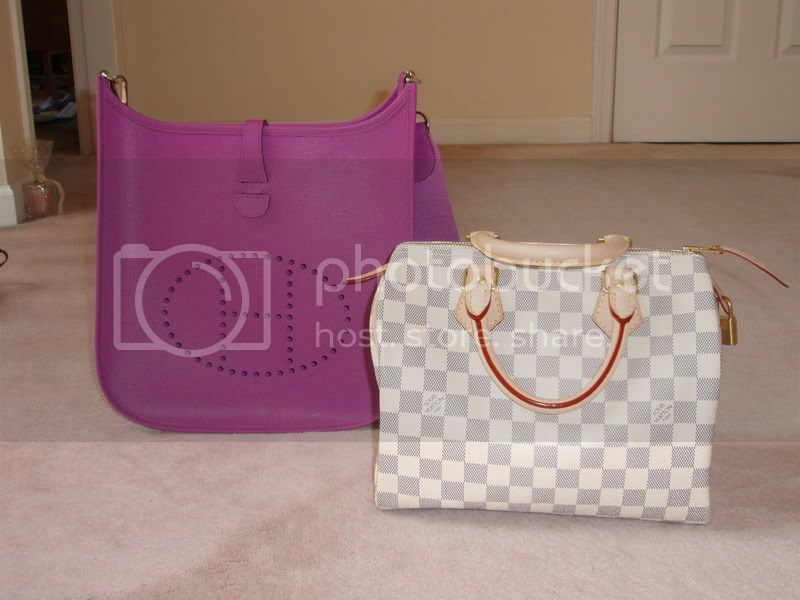 The azur, baggy pm and hermes bag are gorgeous ! !